VANCOUVER, B.C., May-31-2018 — /EPR Healthcare News/ — The mission of the International Diabetes Federation (IDF) is to promote diabetes care and cure worldwide. Type 2 diabetes, once thought only to afflict African descends, other minorities, and the less educated, is now an ignored pandemic afflicting over 450 million people from diverse academic backgrounds and races, worldwide. Health Department budgets allocated for managing diabetes in developed nations each year is staggering; far exceeding the GDP of most other countries. In a new book titled Diabetic’s Journey, diabetes survivor and expert, Ernest Quansah, demystifies how type 2 diabetes can be cured. Type 2 diabetes is caused by consumption of refined sugar; a fact confirmed by Dr. Sanjay Basu, Ph.D., of Stanford University. Natalia McInnes of McMaster University, type 2 diabetes cure researcher, stated that type 2 diabetes can be reversed and cured in four months. Quansah’s book, Diabetic’s Journey, is endorsed by a professor of diabetology and medicine. Reviewers gave his book a rating of 8.8/10. Proof that type 2 diabetes can be reversed: WebMD, the leading healthcare information provider to doctors and consumers, interviewed Quansah and published an article about his diabetes cure methodology in WebMD Diabetes Fall 2016 issue, page 19, and on their website. The article was titled, Secret recipe: How a Chef Cured His Type 2 Diabetes . Additionally, Clyto Access contacted him to produce a video presentation on How Type 2 Diabetes Can be Cured to be presented at the International Diabetes and Degenerative Disease conference. His paper titled, The Case Against Managing Type 2 Diabetes is posted on Academia.edu and has been viewed and downloaded by researchers worldwide. Ernest Quansah is available for interviews. Dallas, TX, April 30, 2015 — /EPR HEALTHCARE NEWS/ — Today, Orangetheory Fitness-North Texas announced that the tenth location in DFW will open in the Preston Hollow neighborhood of Dallas, TX in mid-May at the new Preston Hollow Village development. This high-intensity interval training fitness company opened its first North Texas “pilot” locations in April 2014 in Plano, followed by Frisco and Allen. Other locations in the area include Addison, Coppell, Colleyville, Preston-Frankford and Mesquite. Future locations will include studios in Castle Hills-Lewisville, McKinney, Southlake, Keller and more. The projected opening dates of these locations will be released in the near future. Orangetheory Fitness is passionate about being involved in each of their communities by supporting other local businesses, non-profit organizations, school districts, and the Chambers of Commerce. Not only does this company bring a cutting-edge, technology driven, health-focused fitness program to these areas, it also provides employment to those within the community. Job-seekers will benefit from the employment opportunities that become available as Orangetheory Fitness continues expanding throughout North Texas. About Orangetheory Fitness: Orangetheory Fitness, an energizing group interval fitness concept, is sweeping the nation! This one-of-a-kind workout is broken into intervals of cardiovascular and strength training in which certified trainers instruct the class using a variety of equipment including treadmills, rowing machines, SBT suspension training™ and free weights. With constant variation in workouts and motivation from our inspiring trainers, participants complete the class feeling energized and accomplished. Orangetheory Fitness has been featured in The New York Times as an effective new plateau-busting workout in which participants can burn up to 900 calories in a 60-minute session. Backed by the science of post-exercise oxygen consumption (EPOC), our heart-rate monitored training (OTBeat) is designed to help participants keep heart rates in a target “orange zone” that stimulates metabolism and increases energy in order to achieve noticeable, lasting results. OTBeat is a heart rate monitoring program specifically designed for group training. Each participant wears a transmitter pod that displays their heart rate and percentage of max on a large monitor in the studio. Clients will know exactly what their heart rate is throughout the workout by simply glancing at the monitor. After each workout, participants are able to break down the results of their workout and visualize their progress. The result is the Orange Effect – more energy, visible toning and extra calorie burn for up to 36 hours after your workout. Garcinia Cambogia is brand new natural weight loss method recently discovered and proved as best fat buster supplement. Doctors featured this new method as most exciting breakthrough in weight loss. 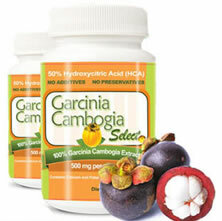 Garcinia Cambogia, is a fruit commonly grows in south Asia. This fruit has been used for different health purposes for several years. This made Doctors and other health researchers to waste their efforts and reveal the health beneficial properties of this natural product. It has been long recommending different natural alternatives for weight loss. Recently “The Oz show” Dr. Julie Chen discussed about the weight loss properties of the dual action formula Garcinia Cambogia. Irregular eating habits may cause lots of health problems, one common problem is obesity. Every 8 out of 10 people get unwanted increase in body weight due to overeating. Health specialists have linked the overeating habit with some psychological issues. People in bad mood commonly eat more. This occurs due to the low level of serotonin, which is a hormone responsible for mood swings. Food is one way to trigger the release of serotonin and enhance the mood, but this emotional overeating leads to obesity. Researchers have been working to find out the weight loss properties of natural products. They found that Garcinia Cambogia triggers the release of serotonin, enhances the mood and keeps emotional over eaters away from consuming more food. body is burned effectively by supercharging the metabolic activity. By suppressing appetite, it eliminates all bad food cravings and develops a healthy eating habit. MariasLastDiet.com, the website for women who want to lose weight, issued a white paper today about using psychology to lose weight. The author, Kenneth Schwarz PhD, a psychologist and psychoanalyst and co-founder of MariasLastDiet.com, wrote the paper because of the continuing high rate of weight-loss failure with the current standard formula, Diet + Exercise = Weight Loss. Dr. Schwarz argues the case for using psychology to lose weight by amending the formula to read, Weight Loss = Dieting + Exercise + Using Psychology, where using psychology is really two factors, adherence and personal change. Adherence, which research shows is the single-best determiner of weight loss, is sticking to it—the diet or weight-loss program. Adherence is not only sticking to your food plan, though, it is also sticking to what will help you make the necessary personal changes. Losing weight, especially for women, is never just about the food. It is always about a woman’s psychology as well. Personal change has to do with altering old patterns of behavior and replacing these patterns with new behaviors that are more conducive to successful weight loss. Dieting and weight loss as they are currently practiced require a lot of self-control and willpower. The use of so much willpower and self-control makes the weight-loss process terribly arduous and ripe for failure. To address this, Dr. Schwarz added another goal to the primary goal of losing unwanted weight, that of using the least possible amount of self-control and willpower to effect change. Once the goal of making the weight-loss process much less dependent on willpower and self-control is set, what remains is to show how to implement this goal. Dr. Schwarz takes traditional weight-loss issues and, using the principles and practices of psychology, illustrates how to successfully resolve these issues more automatically, and without the need for such self-defeating effort. Dr. Kenneth Schwarz, co-author of the series, Weight-Loss Books for Women — Using Psychology to Lose Weight, will appear on The Mary Jones Show on Monday, August 20, 2012. The show is from noon to 2 p.m., and can be heard on WDRC-AM 1360 Hartford, WSNG-AM 610 Torrington, WMMW-AM 1470 Meriden, and WWCO-AM 1240 Waterbury. Dr. Schwarz will be interviewed by Mary Jones about the 7 self-help, how-to books that he wrote with his wife, the writer Julie North Schwarz. The books are all about using psychology to lose weight. This Symmetry Press series of books shows that psychology is what is missing from the usual formula, weight loss = dieting + exercise. The missing psychology, according to Dr. Schwarz, has to do with adherence and personal change. In other words, if you don’t stick to it, it won’t work; and in order to accomplish permanent weight loss, you have to change your old ways and develop new ways. The Using Psychology to Lose Weight series illustrates how to use psychology to lose weight by taking traditional weight-loss issues and showing women how to use psychology to maneuver through them. The first book in the series is a novel of passionate weight loss. It is called Breaking Up With Food: Maria’s Last Diet. It delivers its self-help by taking the reader deep into a woman’s psychology. The 3-volumes of Psych Your Diet: A Daily Dose are handy advice manuals to use for each phase of the weight-loss process. They show a woman how to make the personal changes needed for each weight-loss phase. Volume 1. Psych Yourself to Start supplies what you need to get going—inspiration, understanding, and how-to’s. Volume 2. Psych Yourself to Stick to It gives you ideas, strategies, encouragement, and more so you can do what it takes to adhere to your weight-loss regimen—all the way to goal. Volume 3. Psych Yourself to Keep It Off helps you see what you have to do to maintain your lost weight, and it explains how to go about doing it. Stop Your Emotional Eating lays the groundwork for seeing emotional eating for what it is. It gives a compendium of emotional eating ideas, ways to think more fully and clearly about emotional eating. Stop Your Emotional Eating, of course, also tells how to stop your emotional eating, with strategies to use for all the different aspects of emotional eating. To solve the problems that wreck a woman’s weight-loss attempts, there is Diet Tuffy: The Fun Way to Seriously Lose Weight. This workbook helps you target your toughest dieting and weight loss problem, come up with a brand new solution, and make an ingenious plan to put the new solution into action. With Diet Tuffy, a woman can square off against lack of willpower, low self-confidence, feeling deprived, too much stress, and any other weight-loss foe. The most recent book in the series is How to Break the First Big Rule of Women Who Stay Fat. This book is a personal guide to breaking one of the rules in a woman’s life that has been working to keep her fat. With the help of the strategies in this book a woman will be able to break the first big rule and handle those moments when she feels all her power slip away and she plunges right into food. Dr. Schwarz will be available after his interview on The Mary Jones Show to answer questions at hi@mariaslastdiet.com. More on using psychology to lose weight can be found on Dr. Schwarz’s blogsite www.mariaslastdiet.com. Psychology is by far the most important self-help resource you can use for weight loss. Without psychology, diet and exercise don’t work. There are plenty of self-help how-to’s when it comes to dieting and exercise. What’s needed are psychology self-help how-to’s. The Symmetry Press series, Weight-Loss Books for Women ~ Using Psychology to Lose Weight ~ gives you these psychology self-help how-to’s. Just take a look at the statistics — 62% of women in the U.S. age 20 to 74 are overweight or obese. But on any given day 45% of women in the U.S. are trying to lose weight. Real weight-loss isn’t happening. Using psychology to lose weight means getting yourself to do what it takes to lose your unwanted weight: Getting yourself to START, STICK TO IT, and then KEEP IT OFF for good. Using psychology to lose weight involves solving problems too. You’ve got to solve those problems that prevent you from losing weight — not enough willpower, hard-to-break habits, emotional eating, and any other personal weight-loss spoiler. The Symmetry Press series, Weight-Loss Books for Women ~ Using Psychology to Lose Weight ~ is available in print and in e-book from online retailers like Amazon, Apple, Barnes & Noble, and others, and at your local bookstore. Research published in leading medical journal The Lancet suggests that a lack of exercise can be as big a killer as obesity and smoking. According to the study, approximately one third of adults do not do a healthy amount of exercise, and it is suggested that this could be causing 5.3 million deaths worldwide each year – the equivalent of one in ten deaths – from related illnesses such as breast cancer, diabetes and heart disease. Nutritionist Caron Leckie, who works for the UK’s largest provider of chef prepared meals and delivered diets, Diet Chef, comments: “In my experience the weather has a big impact on activity levels, certainly in the UK, and many people use it as an excuse to stay indoors and watch television, rather than getting out and about. It is recommended that adults should do a minimum of 150 minutes of moderate exercise each week, this equates to just over 20 minutes per day. According to a report by the BBC, “researchers said the problem was now so bad it should be treated as a pandemic”. Read her full list of tips on the Diet Chef blog. HappyFitMe Women’s Health and Fitness, the fast and elegant online custom exercise and workout platform, today announced that it has launched its women’s fitness system to the general public. With its mission of making women’s health and fitness about a sustainable focus on positive movement and happiness, HappyFitMe.com goes beyond the traditional, fickle barometers of counting calories and inches. A first in the fitness industry, HappyFitMe offers a robust and simple interface allowing women to improve from wherever they are at in their fitness journey and provides inspiration, structure and fun in exercise. HappyFitMe’s download-free interface lets users workout online from anywhere, and the platform is entirely free of the advertisements that plague other freemium workout solutions. HappyFitMe leverages the cloud to support its workout systems, and it’s this advantage that lets them offer a professional grade solution for nearly free. Fun custom workout routines – Matched to your ability, no equipment needed. Fresh Video and step by step workout routines. Fitness for your schedule – All the benefits of exercise to custom fit the time you have. Share with Friends – Achieve goals – Friends cheer you on, connect through Facebook & Twitter. Personal Trainer – Your Fitness Coach for support, advice or inspiration! Online Workouts from anywhere – No software, use any computer or smartphone. 1 800 GET THIN has called a lawsuit filed against it a fantasy and lacking in credibility. The lawsuit, Meyle v. 1 800 GET THIN, was filed in LA Superior Court (BC486169) on Thursday, and charges that San Diego Ambulatory Surgery Center failed to properly sterilize its instruments on December 30 and 31 of 2011. However, Konrad Trope, the attorney for the surgery enter, said that Jessica Meyle, the plaintiff, sent an email on January 5, 2012 which acknowledged the instruments were, in fact, properly sterilized. The email from Jessica Meyle said: “…it [the sterilizer] passed!!!! :):):) Mejid is looking at the autoclave now. He says the problem may have been that we removed the Bowie Dicks too quickly. He recommends to crack the door & leave the tests in the autoclave for 20 minutes. Thank you, Jessica”. Trope has challenged the plaintiffs to explain the contradiction between their claims, the emails, and the written records. The record of quality medical care and safety in San Diego Ambulatory Surgery Center is excellent. Stop Your Emotional Eating is all about helping you put a stop to a well-integrated habit, a mindset, and behaviors that have been keeping you overweight. 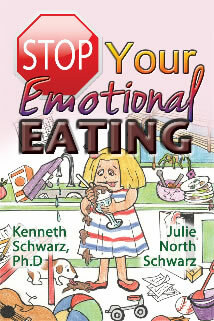 The material in this book gives you ways to stop your emotional eating, and start afresh. In a recent poll put to readers of The Co-operative Magazine, 70 per cent of people feel that they don’t see the results of ‘beauty sleep’. The poll – which asked “Do you think you get enough beauty sleep?”- found that of the 215 people questioned, 70 per cent said ‘It doesn’t look like it’, 18 per cent answered ‘Clearly I do’, and 12 per cent replied ‘I won’t be the judge’. As well as taking part in regular polls, readers can find out what’s in season, browse healthy recipes online and healthy eating tips, get tips on how to get fit and much more! November’s issue is online now and includes great features such as a guide to the best Christmas markets in Europe and top tips for buying winter boots for kids. Forza has announced that plans have been drawn up for the building of a new factory in Kent. The factory will be using the latest technology and machinery to ensure consistency within the manufacturing processes of Forza’s health supplement products, including slimming pills. All of the company’s ingredients are blended for over 24 hours to ensure that each and every capsule is identical. More of Forza’s products will have branded capsules so that the customer understands that from purchase to consumption, Forza is looking out for them. Kent was an obvious choice for the company when deciding on the location for the new factory due to it being a transport hub. Forza has a growing customer base in Germany and being close to the ports means that its deliveries can arrive faster than if they were dispatched from any other part of the country. In addition, Forza’s directors have been able to make much better use of the Eurostar and Le Shuttle services for meetings in northern Europe, allowing the brand to expand into new markets. The factory is the latest investment Forza has made into its services and follows the opening of a new Fulfilment Centre in Ashford, Kent. The Centre operates solely to distribute Forza products to retail and trade customers in the UK and Europe. With this new facility the company is able to handle the growing number of packages that are being dispatched daily. From its old Fulfilment office, it could handle 350 packages a day but now that Forza sell trade packs and the retail demand has increased the company is committed to continuous reinvesting in its infrastructure. GoAlity Fitness Center – Eric Su; Owner and head trainer of Goality Fitness Club in Wood Dale, Illinois announces today the Biggest “Waist” Loss Challenge fundraiser for The Children’s Advocacy Center. “Look great for the holidays! Slim and Trim in 6 weeks. While you donate to a great cause”, Says Su. “We all need to help were we can – and this way you can help yourself while you help the kids”. The challenge is open to all ages and skill levels, and incorporates GoAlity’s S.M.A.R.T. Fitness System, and TRX training which makes you look forward to the next class time. The club is encouraging people to enter and to decide to make a change to live a healthier lifestyle. Awards will be given to the top three losers. Plus a corporate challenge – the corporate team member’s who brings in the most dollars of donations for the children’s center will receive one month FREE virtual Coaching from Eric Su. This 6-week Waist Loss Challenge can be done away from Goality, however if you visit, Eric Su and his certified trainers will teach the participant to Lose the weight and Keep It OFF For Good! An age appropriate fitness and nutrition program for kids to seniors, designed to improve strength, flexibility and cardiovascular endurance. With the unique TRX workout system featured at the Goality Fitness Club – members work out learning how to tone and shape all the muscles in the body. What FUN! The workout is a safe and enjoyable’ but challenging, transformation to health. Plus- members can opt in for the GoAlity Challenge Text Support 630.447.3446 Text us with any questions or comments, and receive encouragement along the way! This is the perfect time to get into shape for the holidays – Challenge your family members and friends – challenge your work associates! Help the Kids! Obesity Solutions International, LLC adds three new bariatric surgeons to boost bariatric surgery services in Tijuana, Mexico. Three new physicians, Dr. Pablo Romero, Dr. Fernando Garcia and Dr. Alejandro Lopez, will join the staff of Obesity Solutions International in Tijuana, Mexico. “As our staff, and cities we operate continue to expand, we are out-competing with our competitors in services offered. Not many companies can provide the flexibility of multiple cities with multiple doctors. We are truly a patient-focused business. And we will always stay that way,” the director adds. Dr. Pablo Romero is a general surgeon with high levels of experience in bariatric surgery. He is a medical doctor whose done extensive training in bariatrics. He’s studied at a myriad of Universities including UNAM Mexico City and University of California, San Diego. He formerly worked under Dr. Ariel Ortiz, a renown bariatric surgeon seen on the Dr. Phil Show. Along with his two Masters Degrees Dr. Romero has the technical skills and experience to provide excellent patient care in Tijuana, Mexico. Dr. Fernando Garcia is a physician that specializes in bariatric surgery. Dr. Garcia has a wealth of experience in patient-care, as he has worked in numerous hospitals in Tijuana, Mexico. Currently, he is working for, or on-call to, four hospitals in Tijuana, Mexico. Dr. Garcia has advanced education, including courses in gastric sleeve, lap-band, laparascopic surgery and more. Combining his compassion for patients and his academic drive, makes Dr. Garica a well-respected bariatric surgeon. Dr. Alejandro Lopez is a general surgeon, who is committed to advancing medicine. He is a member to four medical associations including, the Mexico Association of Endoscopic Surgery and Mexico College of Obesity Surgery. When Dr. Lopez is not working, or continuing his education, he is researching medicine and getting published in index magazines. His profound admiration for medicine, education and academia will serve him well in helping people lose weight. It is the time of year when people turn their thoughts to getting fit or losing weight in time for a summer holiday, and to help them do so on a budget, DiscountVouchers.co.uk has new deals available. The specialist voucher codes site has offers on show to save at LA Fitness and WeightWatchers. Gym memberships can be an expensive thing, but right now DiscountVouchers.co.uk is offering people cheap deals for top UK gym chain LA Fitness. The latest LA Fitness offers available online include a deal for no joining fee, no contract – perfect for encouraging people to get out and use the gym to get fit. On top of the membership offer, the LA Fitness deals available online also cover trial deals and clothing. TheDiscountVouchers.co.uk site is now home to an offer giving 9 weeks peak membership for just £99 – perfect for trying the gym before signing up as a long-term member. The online deals specialist is also offering money off fitness clothing and kit from leading brands like Adidas, Rohnisch and Shock Absorber. Losing weight is not the easiest thing in the world for most people, but to encourage them to make a start DiscountVouchers.co.uk is offering new WeightWatchers discount codes. The site is right now home to a deal for free membership to help people save themselves the £33.95 membership fee as an incentive. DiscountVouchers.co.uk offers people money saving deals at both major high street brands and specialist retailers, including stores like Tesco, Marks & Spencer, Sainsbury’s, Travelodge, First Choice, lastminute.com and Boden. A new and innovative diet website has been launched at southbeach-diet-adviser.com offering free diet advice and weight loss tips for anyone interested in the innovative diet plan. The comprehensive site is a cost free introduction to the popular South Beach Diet and includes extensive information on how the diet works as well as helpful tips, recipes and an interactive forum for dieters. The website features a variety of helpful articles, including a detailed shopping guide dieters can use to stock their pantries and refrigerators with foods that are allowed during each of the three phases of the South Beach Diet. Detailed information on the three phases of the diet make it easy to understand how the program works and what kind of results an individual can expect as they lose weight. Meal plans, recipes, and reviews of books about the program make it easy to not only stick to the diet, but choose the right tools for your own weight loss program. Links to the official South Beach Diet website and other sites offering packaged meal supplements and snacks are also on the new website. These give dieters the option to enroll in paid programs or order prepared convenience foods, although the many free recipes and diet tips at the Adviser are more than enough to keep most dieters on track without spending a dime. The editors at South Beach Diet Adviser note that the flexibility of the popular diet system is what makes it so successful. There are no calories to count or points to keep track of, making it the ideal diet for today’s busy dieters. Three distinct phases help dieters jump start their weight loss, continue losing pounds at a healthy rate, and maintain their weight through a lifetime of healthy choices. If you’re interested in losing weight and keeping it off for free, no obligation guidance and support is available at southbeach-diet-adviser.com. The editors at southbeach-diet-adviser.com have compiled an extensive library of information on the South Beach Diet plan, including weight loss tips, a grocery guide, and detailed plans for losing weight and keeping it off. They are proud to offer open forums, detailed information on the glycemic index, and helpful tools at no cost to users so that anyone can use the plan successfully. It is 2011 and time to shake off the January blues and shape up beside the seaside with the brand new Coastal Boot Camp, set on the stunning coast line of Cornwall and North Devon. Fresh from the people behind New You Boot Camp – the most successful military style weight loss boot camp programme running in Europe – Coastal Boot Camp was developed due to customer demand for a boot camp that offers the same great results as the original programme but with more outdoor hiking and stunning motivational scenery. The new Coastal Boot Camp programme also now includes additional extras of life coaching, nutrition and training one to ones, plus full access to an indoor swimming pool. Coastal Boot Camp accommodation is set in 37 acres of unspoilt North Cornwall countryside with stunning panoramic views, comprising of a main Manor House and 3 converted and renovated traditional stone barns. Situated within a large private estate, beautiful beaches, coves and coastline are only a stone’s throw away and a plethora of magnificent woodland and coastal walks surround the camp, perfect for downtime in between rigorous military training to help participants relax and unwind. As with all the New You Boot Camp programmes, a team of trained professional Military Physical Instructors have designed a robust military fitness course that puts everyone through their paces and targets those problem areas. However, Coastal Boot Camp not only pledges weight lose and a fabulous new figure but endeavours to leave everyone with a zest for the great outdoors, feeling invigorated and ready to take on the World! The New Year is coming, and people like to keep the resolutions they make. 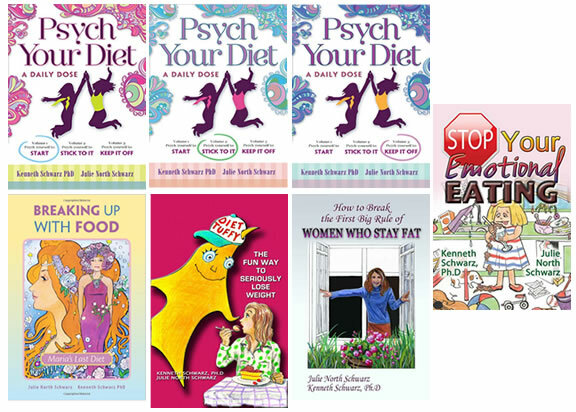 Symmetry Press offers help, with its new line ofweight-loss psychology books for women. Psych Your Diet: A Daily Dose — 3 volumes for the 3 stages of weight loss—START, STICK TO IT, and KEEP IT OFF. These are handy advice manuals for women to use every day. The books are designed to be read one piece at a time, one a day. Each selection gives an effective dose of daily knowhow, encouragement, and inspiration. The research shows it is staying on a diet (adherence) and not the particular diet that makes for successful weight loss. 1,2,3 Women who want to lose weight need good information and help with adhering, just like they now have with knowing what to eat. Judging by the statistics, the old formula [diet + exercise = weight loss] is not helping women to adhere. On any given day 45% of women are dieting, but 62% of women from 20 to 74 are still overweight. Breaking Up With Food: Maria’s Last Diet is a novel of passionate weight loss. eMedToday is a new series of web sites that will address many health care issues, the first being, “What is the best way to lose weight ?” The site will be supervised by Graham Player, PhD who holds a Doctoral Degree in Health Science. Graham Player PhD is the author of many books and internationally recognized for his work including “Everybody’s Health-Time to Reap the Benefits of East and West” and “Disease and Diagnosis for the Acupuncturist”. The web sites will be authoritative web sites that will contain content specifically chosen to help those who need information and solutions. Weight loss is a problem of astronomical proportions in the U.S. alone. Nearly 64% of Americans are overweight and 325,000 deaths each year are directly related to obesity. The problem does not just concern adults; children are being affected as well. All of this has led to a multi-billion dollar weight loss industry. eMedToday contains a variety of weight loss tools, tips and books all designed to provide the best information on “What is the best way to lose weight ?” In addition, the website will provide users with natural weight loss methods that include healthy food and exercise. eMedToday will be launching the first website on weight loss but in the coming months there will be a variety of health topics in many areas including skin problems, heart problems, allergies, Alzheimer, diabetes and cancer. eMedToday will be a trusted authority in the weight loss and other areas where people can access useful information. lose weightWeight lossWhat is best way to lose weight?